I sit here on the bouncy felt seats, gazing out the window to my right at the ever changing landscape of Morocco. I am riding a train eight hours to Marrakech from Fes, an ancient city dating back thousands of years. Martin and Marilyn, two Australians in their sixties have just departed at their day trip stop, and the seats beside me are thus vacant. As they stepped off the platform at Meknes, my heart became warm, my smile wide, and my sureness of self, strong. After chatting with the couple about travel, life, home, politics, goals, I learned fifteen minutes before our split that Martin is a retired CEO of a travel company. With enthusiasm they both listened to my casual two minute pitch for The Nomad’s Direction. Handing my business card to hungry hands, a “We can’t wait to look you up, Alexandra!” and it was over. I can sit here and wonder what is to come of this happenstance — will I get an email? Will this person work as a bridge to connect me further in the industry? Or have I just made a new friend? Fine art landscape photo I took while road tripping the USA at 19 (taken in Colorado). When I start questioning the unknown future (and sometimes find myself in a deep hypothetical career-tangle), I have learned that rather than try to cheat ahead with predictions of what’s to come, it is instead better to look backward at my accomplishments and ask, “Did I ever see that coming?” The answer is usually no. In college I studied photography, making mostly black and white documentary work throughout my four years at SUNY Purchase. This is also where I got my first waitressing job at Emma’s Ale House in White Plains, and the age where I traveled abroad for the first time. As college goes, many experiences were had to carefully and mindfully create the woman I am now, even though I had no idea that was what was brewing. I love the art of photography, and as I traveled more frequently, my camera became a tool that would work as a catalyst to connect me to the people and places I was visiting. I was documenting them, but I was also keeping a visual diary for myself. After graduating, all of my friends moved to Brooklyn and got jobs in their field. I had friends at Vice, at HBO, at The Food Network, in David Zwirner Gallery. I was still at my mom’s house on Long Island working in a restaurant six days a week. I wanted to travel. I felt limited and suffocated by being only twenty-two and devoting my life to what I chose to study in college. I adore making pictures, and looking at them, touching them. But I also thoroughly enjoyed and felt fulfilled by reading, activism, producing, working in the hospitality industry. At times I wondered if I had wasted my time committing years of my life to a medium I did not dive headfirst into upon emerging from my art school womb. I felt horrible each week that passed by where I did not pick up my camera. But I was learning new things. I was acquiring new skills. I was not stagnant, and the knowledge I gained at university was not going to escape me either. A client submission photo of Gina and her dad while on their road trip through the USA together. In the midsts of being promoted to Event Coordinator and Manager of the restaurant I was working at, my side hustle hobby company was starting to make some traction — just in time for my solo four month backpacking trip through Europe where I would hike my way within and take thousands of photos throughout twelve countries. When I returned to the States, I was inspired and ready to job hunt after scoring an apartment with two girlfriends in Brooklyn. I met with my favorite photographer, Elinor Carucci for a one-on-one workshop at her apartment in Manhattan. She loved the work I was making (which was a thrill that I had not lost my photo mojo), but we somehow ended up talking for hours about travel and this baby sprout business of mine. While on the job search across the film, photography, and event producing listings, I just kept wanting to click send and continue building and branding for The Nomad’s Direction. A documentary photo I took in Morocco of children on the back of a truck. I took the leap and decided to nurture my company full time while freelancing on the side to help pay for rent. and that budgeting, scheduling, time management, and multi-tasking came naturally to me, proven by the work I did as an event producer. Did you believe your college study focus was your forever-career? Have you gone on to build a career that’s in line with your college degree? If not, do you still practice what you learned in college at any capacity at your current job? 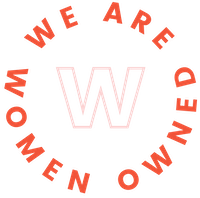 Alexandra is a part of the We Are Women Owned sisterhood and owns and operates the company The Nomad’s Direction. The Nomad’s Direction is a service based travel company, creating customized travel itineraries fit to each client’s budget and personal travel style. WAWO blog readers can enjoy 15% off their first consultation or itinerary with TND by using the code “WAWO” upon filling out the questionnaire on their website. I am one of the few people in my industry who actually majored in what I am doing for a living. While sometimes I wish I had taken a less safe path, and done more traveling and risk-taking, I have a great job and a great family. I can’t complain! The most important thing is that you’re happy! I am a voice over artist and bass player, so technically I suppose I’m considered a performing artist, and I have an AA in Biz Mgmt, and a BA in Liberal Studies. I am also still a career student – I never stop learning, and I am constantly taking classes that I feel will enrich me, or take opportunities for the same purpose. That is *also* how I selected my classes in college – I wanted more tools in my box to make my dreams a reality! That being said, I feel I did the right thing by choosing classes I actually had an interest in, and used my college time to enrich myself as a person and as an artist. It also deepened my appreciation for education – though I don’t believe people need a college degree in order to be successful, or intelligent. The point of college should be that: to better yourself, to educate yourself, to prepare you more for what you think you want to experience after. I am also very happily profiting from my performing and recording ventures, and take every opportunity to have fun, learn something new, experience something new. These things will only broaden your horizons and brighten your world, as you very obviously well know!